Salvador Dali and Francesco Vezzoli played, and play, with the semantics of personality, money, media and fame including the concept of art. 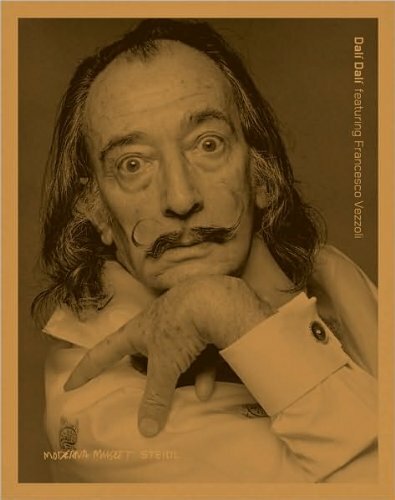 By combining Dali with Vezzoli, this book connects one of the most important artists of the 20th century with the contemporary art scene, in which his excesses are surpassed by other artists in many respects. Salvador Dali's oeuvre is presented to a new generation, by looking at it from a new, contemporary angle, for example by viewing his works from a gender perspective. During the last years it has become evident that Dali was an Vezzoli give a new understanding of how Dali, with his desire to merge the art and the performer, was a forerunner for the close relationship between the media industry and the artists of today. Francesco Vezzoli was born 1971 in Brescia, Italy. He takes celebrity as the medium of his work. In such recent videos as Trailer for Remake of Gore Vidal's 'Caligula' (2005), Marlene Redux: A True Hollywood Story! (2006), and Democrazy (2007), he has appropriated various formats of mass media - the movie trailer, the behind-the-scenes expose, the political advertisement - and populated them with an extraordinary cast of Hollywood actors and other celebrities, establishing himself as a master parodist of our media-saturated culture.